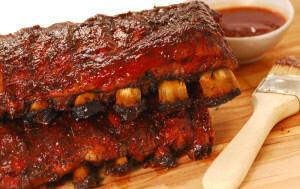 What would a BBQ cookoff be without some delicious BBQ as well as other sweets and treats? We have invited many different food vendors to apply and then we cull the cream of the crop to offer you all of your favorites and maybe a few new delights, too! Check out our vendors for other beverages such as fresh-squeezed lemonade, tea, soda and specialty drinks. Vendors, be sure and visit the Vendors page. Hog Heaven! The heart and the soul of the TN River BBQ Battle & Music Festival is where our competition cook teams set up their rigs to vie for prestige, cash prizes and awards in this Tennessee State Barbecue Championship qualifier. The top ranking team from Tennessee also wins the coveted Governor’s Trophy. Teams must compete in all four Kansas City Barbecue Society (KCBS) sanctioned categories; Chicken, Pork Ribs, Pork and Beef Brisket to be considered for Grand Champion. The judging for the main event is on Saturday late morning and early afternoon and awards are announced in the late afternoon on the stage. Judging is by KCBS certified judges and we use a double blind system to ensure a fair and equal contest. 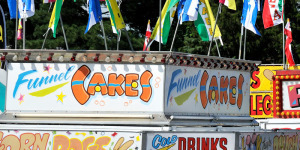 Finding the Festival The TN River BBQ Battle & Music Festival is being held at Green Acres RV Resort adjacent to Hwy. 128 between Savannah and Pickwick, Tennessee.